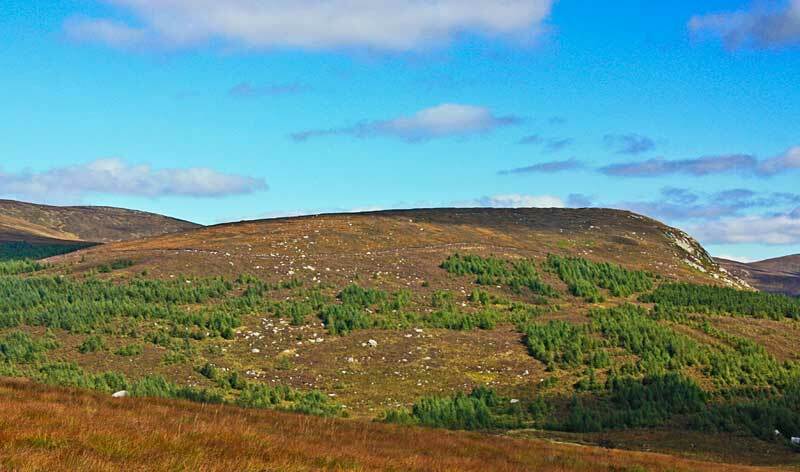 Picture from group : Carrigshouk from the SW.
Picture: Carrigshouk from the SW.
Low cliffy mountain in the middle of the Wicklow massif. Carrigshouk is probably seldom a target in itself but lends itself to being part of walks to the wilder parts of Wicklow west of the Military Road. Unusually it is steeper to the South East rather than North or North East.